Every spring during his four years at Cornell, Adam Seth Levine '03 built trusses on Ho Plaza to publicize the work of Habitat for Humanity. Now, as a new assistant professor of government, he's helping to create a different kind of edifice at the intersection of government and behavioral economics. "Cornell is one of the birthplaces of behavioral economics, and being around people working on these issues is really exciting," Levine says. As an expert on political behavior and empirical methodology, Levine helps explain why people devote time and money to politics. Ironically, Levine came to Cornell as an engineering student, but after a year and a half he switched to the College of Arts and Sciences, where he could build an independent major around his interests in government, economics and sociology. The interdisciplinary opportunities at Cornell excited him as an undergrad, and they're one of the main things that drew him back to Cornell to teach. 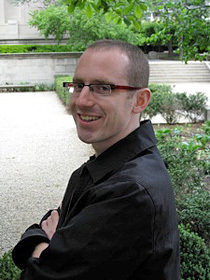 These opportunities also drew Pedro Erber, Ph.D. '09, to Cornell in 2002 for graduate studies. At the time, no one at Cornell specialized in Brazilian literature, but Erber says the Asian studies department welcomed his focus on Brazil as well as on Japan. Erber worked hard while at Cornell to raise the profile of Brazil studies, organizing panel discussions on Brazil's 2002 elections, and helping with a major conference, "Brazil in Interdisciplinary Perspective." His efforts bore fruit: Soon after the 2005 conference, the College of Arts and Sciences announced the first official posting in Brazil studies. Erber, now a new assistant professor of Romance studies, is the second expert hired so far in this expanding field. Although Erber, like Levine, was hired as part of the university's Faculty Renewal initiative, "for Brazil studies, it's not a renewal but a kind of beginning," he says. 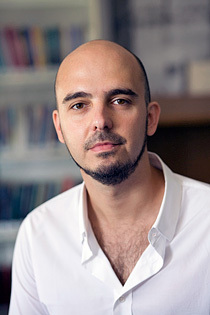 He's looking forward to creating a framework for Brazil studies that looks at the country in conjunction with other parts of the world, "not just as an isolated sphere," thus rooting Brazil studies firmly in the same collaborative model that first drew Erber -- and Levine -- to Cornell. Erber first came to Cornell by way of Germany and Japan, and felt right at home among the many international students here. "I spoke as much Japanese and Spanish as English and a little Portuguese," Erber says. He learned to salsa dance at the weekly parties at Common Ground (now The Oasis), and he's still dancing, with the student group Pa'lante. "I've been very happy in Ithaca," says Erber. "I get a lot of work done, mainly because the interdisciplinary style of how the university works is very much how I like to work. And the exceptionally strong theoretical scholarship here matches how I like to deal with texts." Levine became an academic partly because of the unusual accessibility of professors at Cornell. He happened to come across "The Winner-Take-All Society" by Robert Frank in 2002 and was impressed by how relevant his behavioral economics approach was to Levine's interest in income inequality -- and then Levine realized the author taught at Cornell. So he took a chance and sent Frank an email. "Two hours later, he emailed me back. I couldn't believe this chaired professor who'd written multiple books was inviting me to meet with him," says Levine. "And then he offered me a research position. I can't overstate the importance of my experience with Bob in kindling my interest in research." It's an interest that has led him right back to Cornell, and an opportunity to "pay it forward": He recently received an email from an undergraduate seeking to do research with him. Levine can't wait to get started.